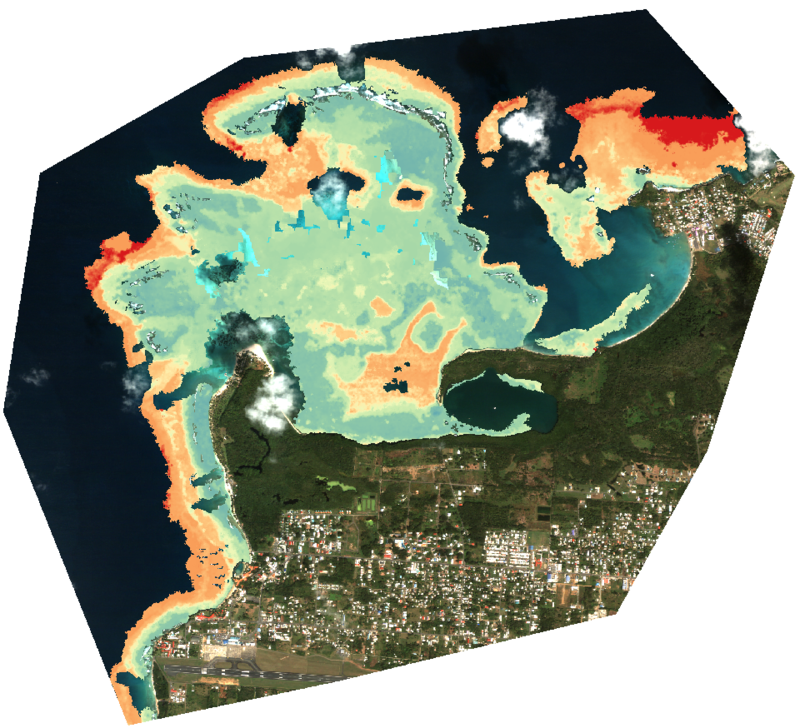 The Balist-2 program aims at developing a semi-automatized processing chain to produce satellite derived bathymetry maps for shallow waters. The implemented method relies on a radiative transfer model applied to the water column which can be adapted to many bottom types, coastal areas, with or without in situ data. The objective of this project was to propose a bathymetry service to end-users (environment managers or coastal industries) looking for additional data for future projects or to analyze impacts of past events. 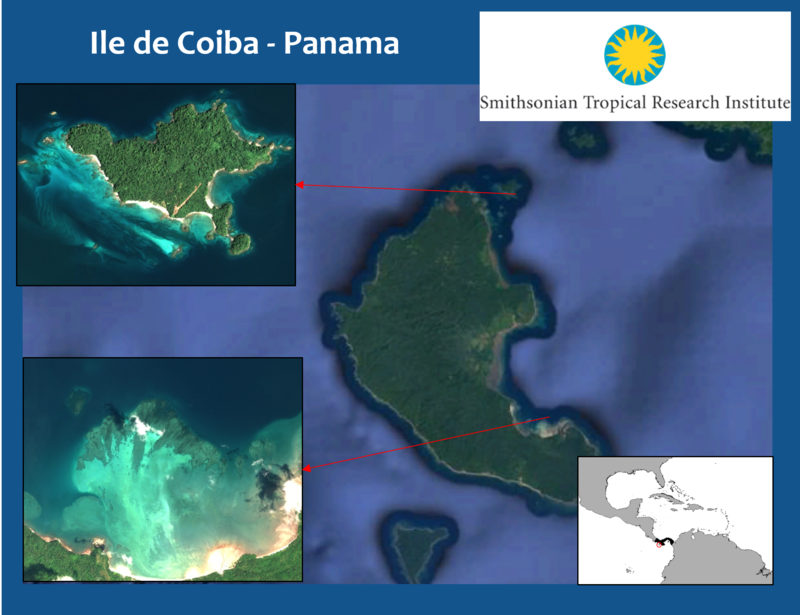 Because of its exceptional biodiversity, the Coiba Island (Panama) is part of the UNESCO World Heritage sites since 2005. This remote area is scarcely mapped and local authorities lack the necessary means to monitor the evolution of its habitats at a sufficient frequency. In partnership with STRI (Smithsonian Tropical Research Institute), bathymetry and benthic habitats maps were produced on two selected pilot sites as a service demonstrator. The Buccoo Reef site is located on the South-West of Tobago Island and harbors the largest coral reef of Trinidad-and-Tobago. This site underwent a growing anthropic pressure for the past years and was progressively invaded by macro-algaes. 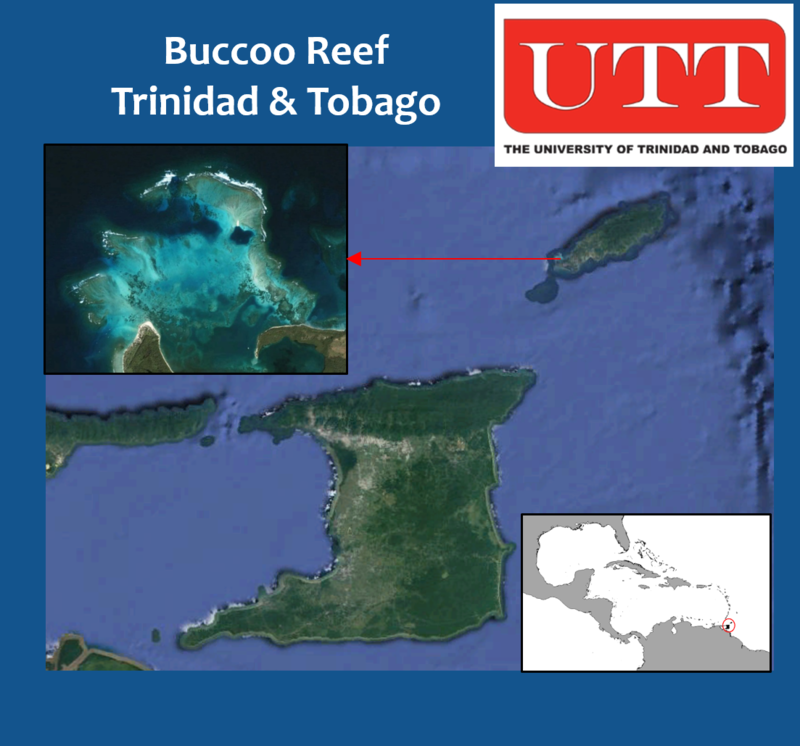 Thanks to a partnership with the University of Trinidad-and-Tobago, bathymetry and benthic habitats maps were produced on Buccoo Reef within BALIST-2 project. 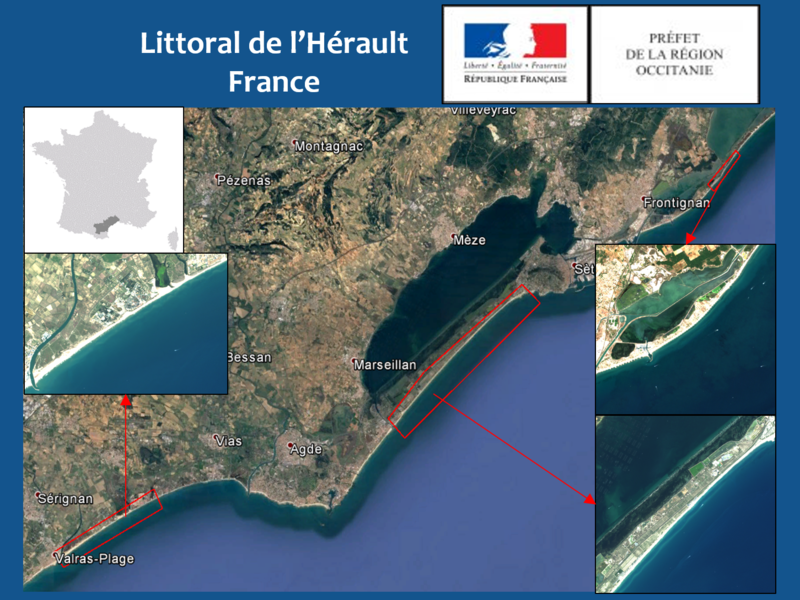 The Hérault coastline underwent in the past years many recurrent beach erosion and flooding events. Several recent initiatives have allowed reducing these impacts. On behalf of DREAL Occitanie, a service demonstrator was set within BALIST-2 project to produce a submarine morphology map of off-shore bars and to evaluate the ability of BALIST-2 processing chain to deliver operational time series of maps to monitor the temporal evolution of these sandy shallow structures.